Chef Giovanni introduced his moderately spicy--and extremely popular--Cayenne & Curry Cashews in 2011. These won a Yellow Ribbon at the Islip Americana Fair! Chef Giovanni brought out Unsalted Sesame-Ginger Mixed Nuts in 2013. His newest varieties are Unsalted Rosemary & Tomato Mixed Nuts and Unsalted Cinnamon Mixed Nuts. These nuts, like Chef Giovanni’s Marcona Almonds, are all-natural, and hand-made in artisanal batches. They are made with all GMO-free Organic (and Kosher) spices, and are produced on dedicated gluten-free equipment. 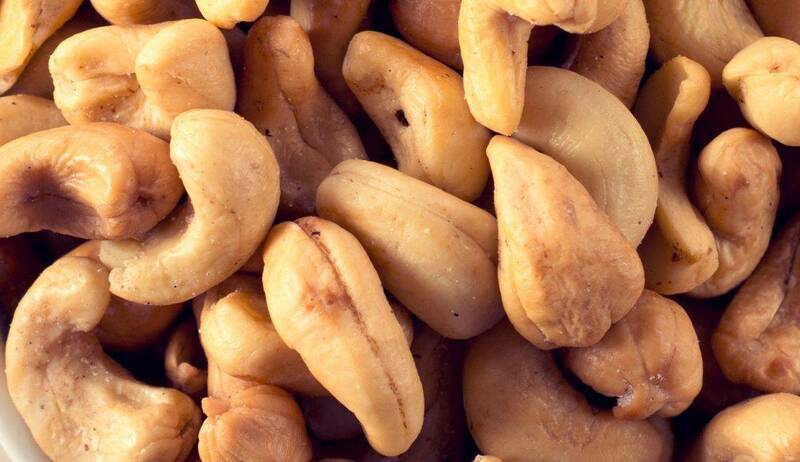 Chef Giovanni produces SEVEN flavors of Cashews and Mixed Nuts to suit every taste! Looking for Salt-free? All Chef Giovanni Mixed Nuts are unsalted!